From Yom HaShoah to Yom HaAtzmaut – 88 Yr Old Survivor Speaks! This Monday night, join us for a moving event at The Tel Aviv International Synagogue. 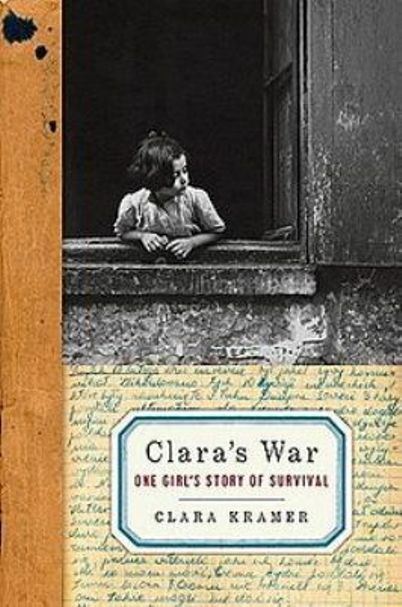 Clara Kramer will speak of about her book – Clara’s War – chronicling her experience in the Shoah as well as her joining the fight for Israel’s Independence. Pete Kessel, a known Holocaust educator will speak as well. Admission is complimentary and open to the public. Mrs. Clara Kramer is an 88 year old Holocaust survivor originally from Poland. She survived the Holocaust by living in a bunker for two years beginning at the age of 15. She kept a diary that has been published in many languages. 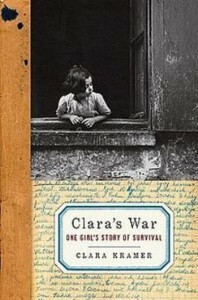 The original Diary called “Clara’s War” is in the Holocaust Museum in Washington DC. Mrs. Kramer currently resides in Elizabeth, New Jersey where she is nationally known as a major contributor to Jewish institutions in the US and Israel as well as community hospitals and food banks. Peter Kessel has been involved in Holocaust education for many years. He is the child of Holocaust survivors who were born in Poland. His parents were liberated by the English on April 15, 1945 from the concentration camp Bergen Belsen. Peter’s brother Marc was born in the Displaced Person’s Camp Bergen Belsen in 1948. Peter was chairman of an annual Yom Hashoah program at Kean University in New Jersey (mid 90’s) under the auspices of the Kean University Holocaust Resource Center for many years. Clara Kramer is a founder and chairman of the resource center. Peter actually played in the Israeli professional basketball league 40 years ago for the team Elitzur Tel Aviv. He currently resides with his family in Hadar Yosef, Tel Aviv and Springfield, New Jersey. This entry was posted in Community, Events, Information, Learning, Upcoming, Yom HaAtzmaut. Bookmark the permalink.